Special structure design,high precision assemby,high load rating materials formula,smooth rotation of oil seal in dynamic application,Prevent leakage of the sealing medium and the outside material,Meet the special sealing demand in extreme bad environment.It's suitable for large agriculture machinery with used for field,farmland working,lrrigation equipment,fixed field device,gear transmission equipment,pipeline,transportation vehicles and so on. Zhejiang Shangyu Oil Seal Co.,Ltd is a leading China tractor oil seal manufacturer and supplier, our tractor oil seal factory can provide customoers cheap tractor oil seal products. 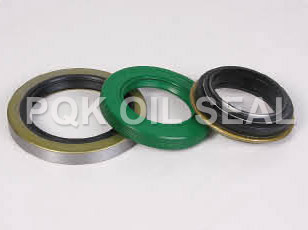 Welcome to buy discount tractor oil seal or wholesale products from us.